One of the main attractions is Detroit this year is the all-new Ford GT. 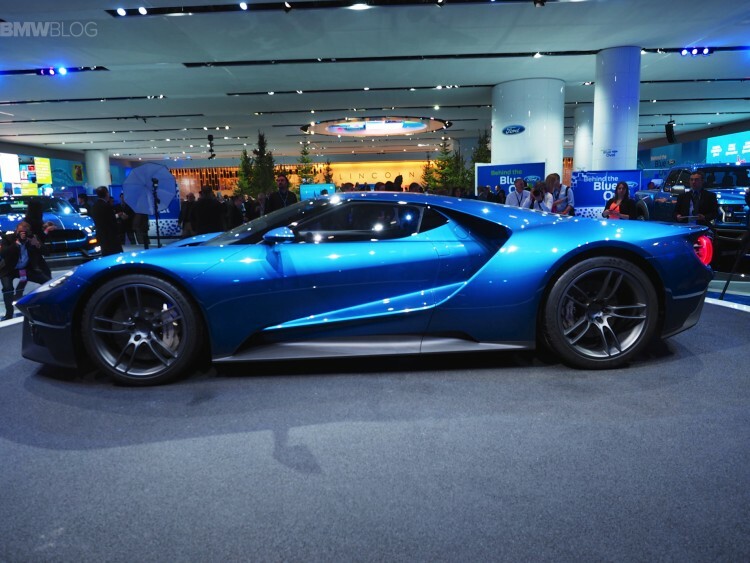 The Made in America Ford GT is a 600+ horsepower, lightweight supercar that promises spectacular performance and supercar looks. The GT will be built with a carbon fiber passenger cell, as well as aluminum front and rear subframes encapsulated in structural carbon fiber body panels. 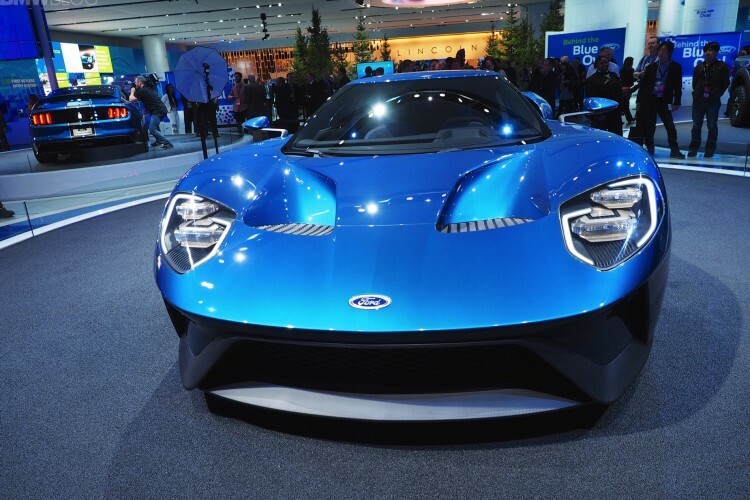 The supercar will be powered by what Ford claims to be the most powerful EcoBoost production engine ever: a next-gen twin-turbo EcoBoost V-6 that makes more than 600 horsepower. The mid-engine GT feature low-slung and tear-drop design with scissors doors. 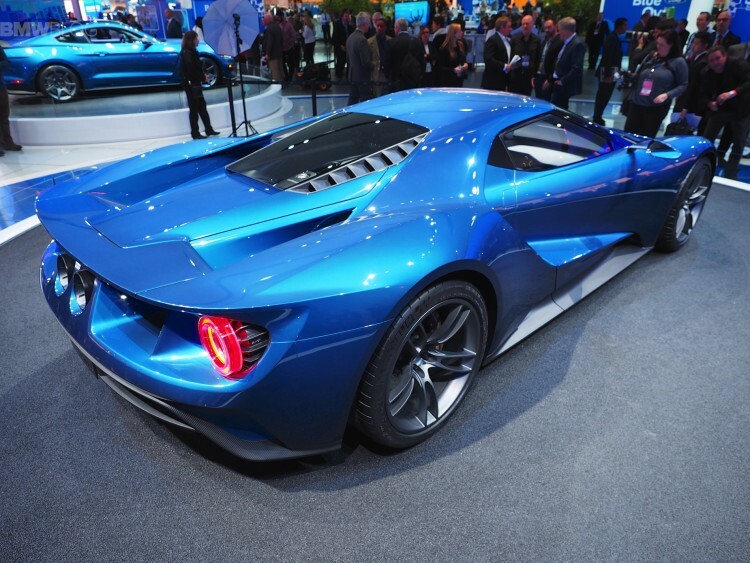 Inspired from racing, the GT’s chassis is suspended by an active racing-style torsion bar and pushrod suspension. The car’s ride height can be adjusted. 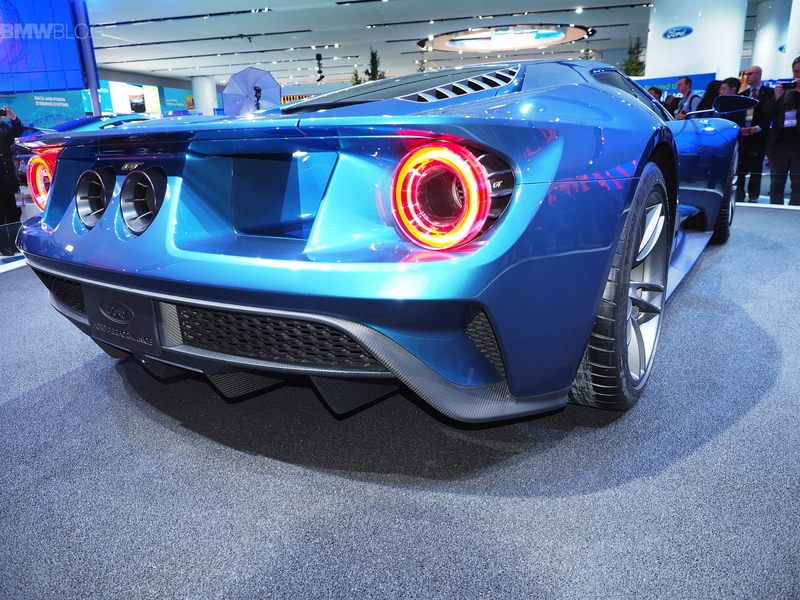 The new Ford GT include 20-inch carbon fiber wheels with Michelin Pilot Super Sport Cup 2 tires that were uniquely designed for the GT. Carbon-ceramic brakes will help stop this beast within a respectable distance. It also sports an active rear spoiler to help with downforce. Ford GT will go on sale in select global markets late next year to celebrate the 50th anniversary of Ford GT race cars placing 1-2-3 at the 1966 24 Hours of Le Mans.